Another trip in February....The only slow time of the year for me! I really don't expect to see any greenery. Winter is not the ideal time to visit Europe, but I hope to see at least some garden structure and hardscaping. 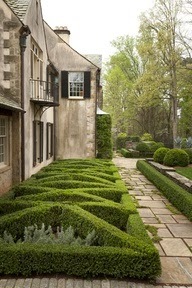 There is a gardening museum, and several castle gardens that I plan on visiting (I will be sure to share pictures). I have had numerous suggestions about what to see and where to go, so I'm sure the week will go by very quickly!! Look for pictures and info about the trip the end of the month!!! ...I love being able to share what I have learned with you all, as we grow together in our gardens!! !